One thing missing from all of the luxurious scenic vacation photos clogging Instagram is the growing amount of plastic polluting the oceans in the background. How harshly humans treat the environment is certainly not a new discovery, but European packaging company Rajapack has opted to tell the ugly truth about the increasingly dangerous impact that plastic has on our environment. Personally, any time a new study is released presenting cold, hard facts, I’m torn. Do I want to remain blissfully ignorant? That sounds so nice. The weather outside at this very moment is perfectly fine. My life probably won’t be directly impacted. I don’t even live by an ocean! Or should I be a responsible, informed citizen and click on the study? That nagging instinct in my gut lets me know what I should do, despite the tricks my mind can play. Confirmation bias is a dangerous phenomenon—and a lot of times, a subconscious one. It takes a conscious effort to choose self-awareness in order to raise awareness about issues bigger than any one individual. The motto of this generation is that what lives on the internet lives forever, but perhaps it should be altered to include how long plastic – more specifically microplastics – lingers in the environment. A study conducted by Rajapack outlines just that, according to Greenlight Media. “Straws—if Queen Victoria used a plastic straw at her coronation in1873, we could have it on display today.” Greenlight Media relays through a press release. By comparison, a paper straw would take only days to degrade. The press release continues: “Cups—if a cup of polystyrene was around during the Jurassic” – Period, we will find it today next to dinosaurs. These findings may be confusing considering there aren’t piles of plastic taking up every square inch of Earth. VICE‘s Motherboard vertical offers an explanation as to how plastic is hiding in plain sight in daily life. While reading her account, I was making a way-too-long list of my own offenses in my mind. When I wake up in the morning, I’ll take an apple out of a plastic bag in the refrigerator. Throughout the day, I’m guilty of drinking from a handful of plastic water or Powerade bottles. Sometimes, I’ll use a plastic spoon instead of my silverware to save myself time while loading the dishwasher later. I’ll give myself a half-hearted pat on the back for requesting recyclable paper bags instead of plastic at the grocery store, but how hard would it be to simply remember to bring the fabric bags I have at home? The water won’t taste any different if I drink it from a reusable bottle, so why am I so stubborn? As far as not wanting to have to wash a spoon, I don’t have a reasonable defense. It’s laziness, OK? I’m sorry. The truth is, too, that these alternatives never cross my mind in the moment. It’s only when the topic of climate change or pollution is brought up to me that I take a beat to consider my actions. These themes were also present in Haidari’s findings. For starters, there is a real revolt against getting rid of plastic straws. Old habits die hard. Haidari grows increasingly frustrated at the grocery store because she can only buy lemons, ginger and some tinned goods as “literally everything else is wrapped in plastic.” So, she visits a smaller store or organic shop where fruit and vegetables aren’t wrapped in plastic. 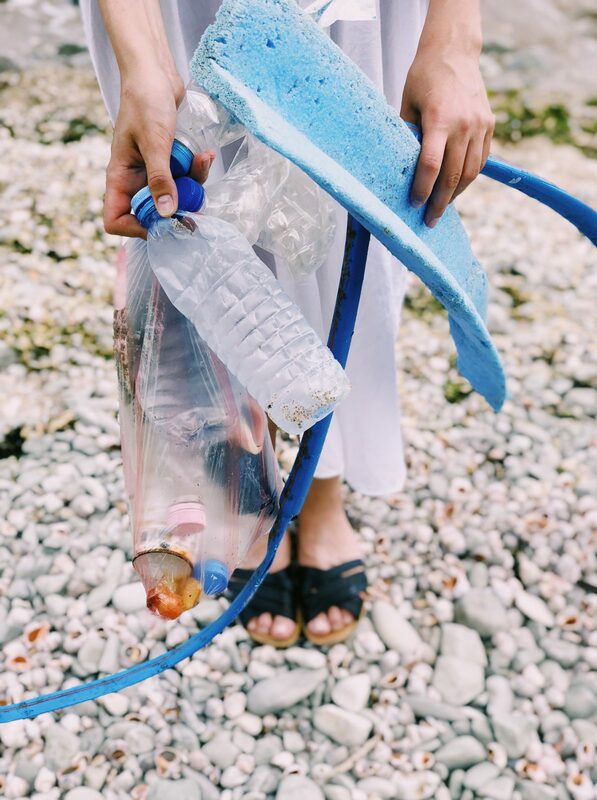 Haidari stumbles across various hardships in her quest to become plastic-free as she realizes just how ingrained plastic is in her everyday life – from grocery shopping to cleaning the bathroom to traveling. “By now, it’s becoming increasingly clear that the key to eco-friendly living is a lot of preparation and foresight (along with a healthy amount of time and money),” Haidari writes. “Remembering to buy meat (if you eat it) from the butcher and then defrosting it for dinner; remembering to pack your KeepCup, your water bottle, your reusable straw and your shopping bag; being able to afford to spend four hours of your week wandering around various stores to buy everything you need to run a household. We’re not here to make you feel guilty and hopeless with facts about single-use plastics and our destructive habits we have been developing for centuries. Rajapack’s study provides tips to change your habits over time and slowly move away from single-use plastics. Rajapack’s tips include reusing shopping bags, reusing water bottles, reusing coffee cups, saying no to straws and getting savvy with recyclables. The study also provides informative graphics to put into perspective just how long plastic lingers in our environment as opposed to alternatives, which you can watch here. Overall, the basic fact is that you are not going to save the oceans and eliminate plastics by yourself. We all individually play a part in the way plastics, and eventually, microplastics, are slowly destroying our planet. Controlling what you can control and introducing more eco-friendly habits into your life, as Rajapack suggests, will put you on the right side of history. History is created regardless, but our place in it hinges on how educated we are on repercussions. Armed with more information every time I go to casually grab another plastic spoon out of my drawer, I have no choice but to envision the spoon still existing somewhere on this planet long after I’m gone. Suddenly, taking a minute to wash a reusable spoon doesn’t seem like so much time. Facts are uncomfortable, especially when they concern the long-term—and, actually, short-term—viability of Earth. This planet is the only home you or I will ever have, yes. More than that, though, it’s the only home countless unborn children will come into. Your choices today—inconsequential as they may seem—shape what we will leave them to inherit. At some point, sci-fi becomes reality unless somebody rewrites the script.